Rachel Hewett is a Birmingham Fellow based in Vision Impairment Centre for Teaching and Research (VICTAR) based in Department of Disability Inclusion and Special Needs (DISN) in the School of Education. She joined VICTAR as a Research Associate in 2010, before progressing to a Research Fellow in October 2012 and was appointed as a Birmingham Fellow in September 2017. Previously she worked in Clinical Trials, and managed a series of large phase-three trials at Birmingham Clinical Trials Unit at University of Birmingham. Rachel’s primary research interests are in the post-16 transition experience of young people with special educational needs and disabilities. She acts as the primary researcher on the ongoing ‘Longitudinal Transitions Study’ which has been following the post-16 transition experience of a group of young people with vision impairment since 2010. Through her doctoral study she has focused particularly on the experiences of young people with vision impairment in making the transition into Higher Education. 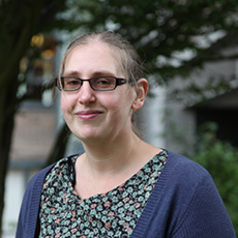 Rachel has been PI and Co-I on research projects funded by various funding bodies, including Nuffield Foundation, RNIB, Thomas Pocklington Trust, and NatSIP.